Marketing analysis It is time for your annual business checkup. You probably get a Physical Check Up and Medical Consultation at least once a year just to make sure you are healthy and to address any medical concerns. Your business needs a regular checkup as well. Whether your marketing program is managed by a big-name Advertising Agency, a Freelance Graphic Designer or you are doing it in-house, your company will benefit from an outside objective assessment… It is like a second doctor’s opinion. 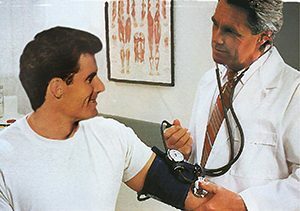 In the medical field, the checkup is called “a Physical”. In business, this checkup is called A Marketing Analysis. In both cases the specialist, asks incisive questions of current conditions and pending concerns. The exam is followed by a diagnosis and consultation, whereby the specialist makes recommendations. These include what to do, what to change, what to avoid and how to improve the health of your body or your business. So, it makes sense, that investing in regular checkups will keep both you and your business healthy, and operating at peak efficiency, but more important, it is to identify problems before they become malignant. And like selecting a qualified Doctor for your Physical, you will want an experienced Marketing Professional for your business. Make an appointment today… Tom Smisek Marketing Consultants Orange County California. @ 714-649-2528 for your business evaluation. Marketing Analysis Consultation, Orange County California. Bookmark. Are you ready for a Wildfire?